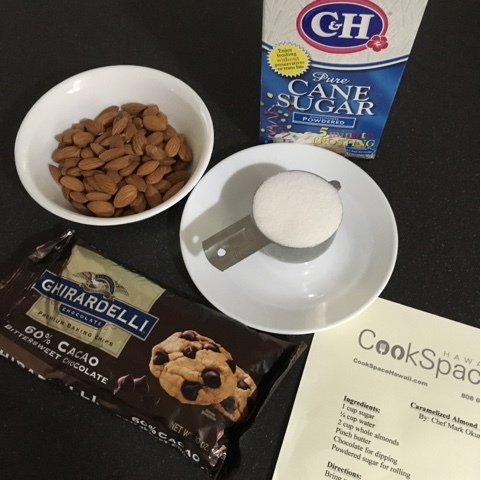 I had so much fun at CookSpace Hawaii's Handmade Valentine's Candies class that I wanted to try my hand at the recipes when I got home. 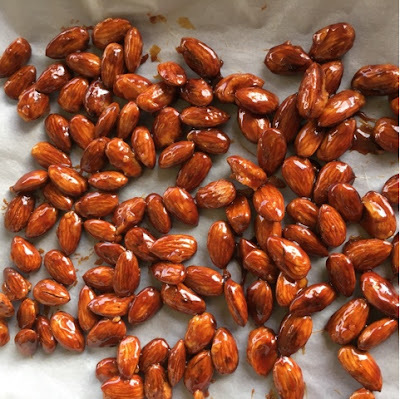 Since I had a bag of almonds, I decided to make Chef Mark Okumura's Caramelized Almond Dragees recipe. 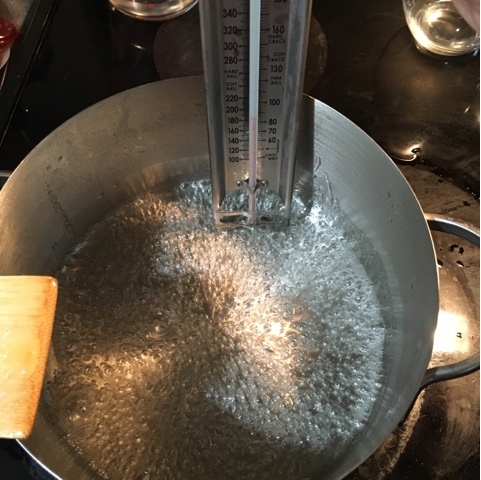 To start, you will need to bring 1 cup of sugar and 1/4 cup of water to a boil. Once you get it to 240 degrees or the soft ball stage, add 2 cups of whole almonds. 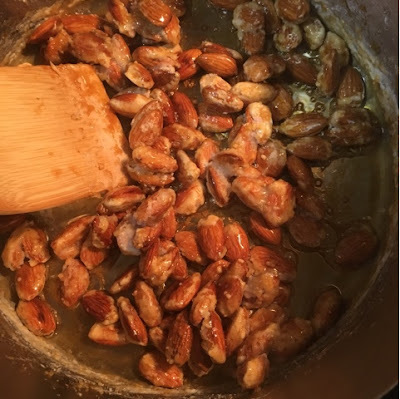 Keep stirring the nuts until they are all coated with sugar. The sugar will begin to crystallize. Keep mixing until it caramelizes like this. Add a pinch of butter to the mix. You want all the nuts to be separated. The smell will be amazing! Spread the nuts in a single layer on a sheet tray lined with parchment paper and let cool. 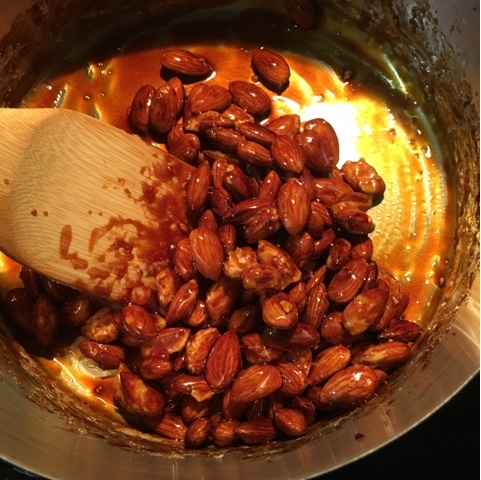 In a bowl, stir nuts in melted chocolate. 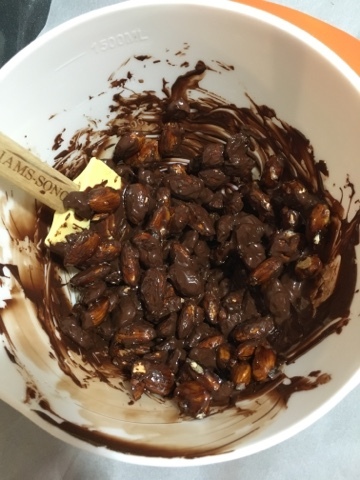 If the first layer of chocolate isn't thick enough for your tastes, feel free to add a second or third layer. 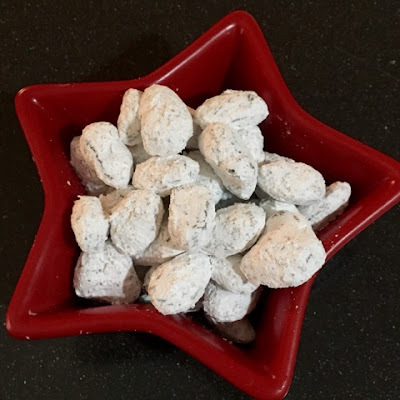 Finally, roll the almonds in powdered sugar. Enjoy! Perfect for your Valentine!